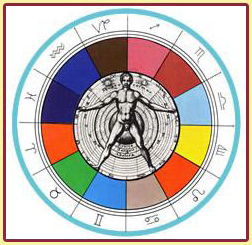 Astrology is a science at least five thousand years old. It is at the core of all the correspondences used by the other Hermetic sciences. The chart shows the blueprint the soul came in with. Astrology is invaluable for explaining the inner forces that drive us and what lessons our soul took birth to learn. It shows our talents, our challenges, and where we are most likely to find fulfillment. It is insightful, true and useful. In a reading we will not only look at the pattern given at birth, but at the current movement of the planets, called the transits. Transits show the planetary energies at work in your present life. Knowing your chart and transits can help you understand, prepare for, and make best use of each period in your life. If you like, we can look not only at your chart, but also at charts of people who are important to you. You can obtain a deeper understanding of any of your relationships. Seeing the charts of children is especially useful. All chart comparisons allows for an enhanced understanding of the other person and improved communication, be it with a prospective partner, a parent or a difficult teenager. A chart makes a wonderful gift for a newborn. What if you do not know the time of birth? Although it is always preferable to have the birth time when constructing a chart, much valuable information can be gained even without it. The method I use is to simply construct the chart for noon of the day of birth and take into consideration what information can be counted on and what can not. The price for all readings is $250 an hour, $325 for one hour and a half hour. All readings will be recorded in mp3 format so that you may listen to them more that once. Readings can be done in person at my home or by telephone. You are welcome to call with any questions about my work and to design a reading to fit your specific needs.